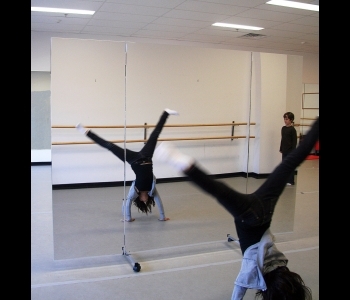 Glassless mirrors on stationary stands are an excellent and safe replacement for heavy traditional glass mirrors in public areas such as gyms, schools and dance studios. Many School Districts and Government Agencies have forbidden the use of glass-plate mirrors in public areas due to the safety concerns and risks of shattering glass. Our free-standing, lite-weight glassless mirror on a stationary stand can be picked up by one person and easily relocated to another area. 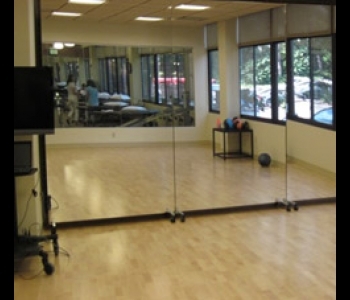 Glassless mirrors are predrilled and can be mounted either horizontally or vertically on the stands.